Suitable Applications: Mining Equipment, Defence Vehicles, Trailers, Forklifts, Cranes, Earthmoving Equiptment, Trucks, Buses, Trains and planes. 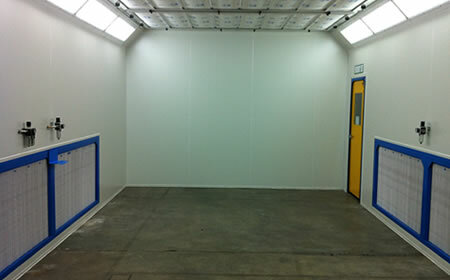 Anton Pirie, General Manager, TRUFLOW Spray Booths. TRUFLOW has built a reputation on custom engineered solutions; becoming the name in large scale systems designed specifically to meet the needs of the production process and the client. The approach taken to providing a quality solution is unique to TRUFLOW’s experience; all systems are designed to a performance criteria with airflow and efficiency calculated by CAD technology. 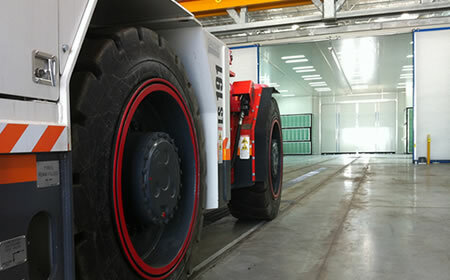 This approach is required for systems which process & filter such large volumes of air and paint. Our expert engineers are dedicated to clients solutions to ensure every system works and is implemented with safety and compliance in mind. 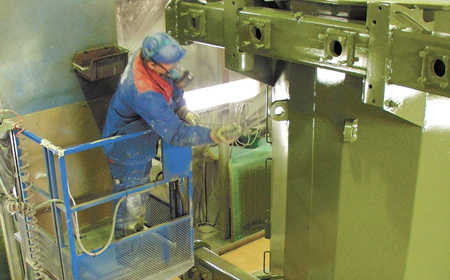 Mining Equipment Spray Booth Clients include; International Explosive Equipment Pty Ltd, WA | FLSSmidth QLD & VIC | BHP WA | Byrnecut Mining & Murray Engineering | Westrac | Sandvik Mining & Construction | Caterpillar Australia. This corrosion protection facility in NSW was designed to accommodate for both mining vehicle trucks like the 785D & 789D off-road dump trucks as well as smaller earthmoving equipment like diggers and excavators. 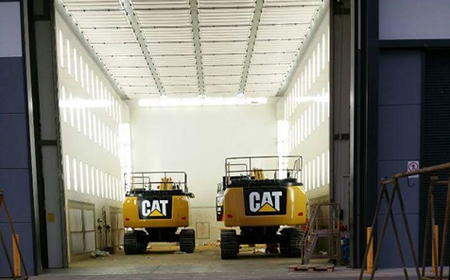 This facility is specifically for re-refurbishment, allowing for one large vehicle or multiple smaller vehicles to be painted and baked. 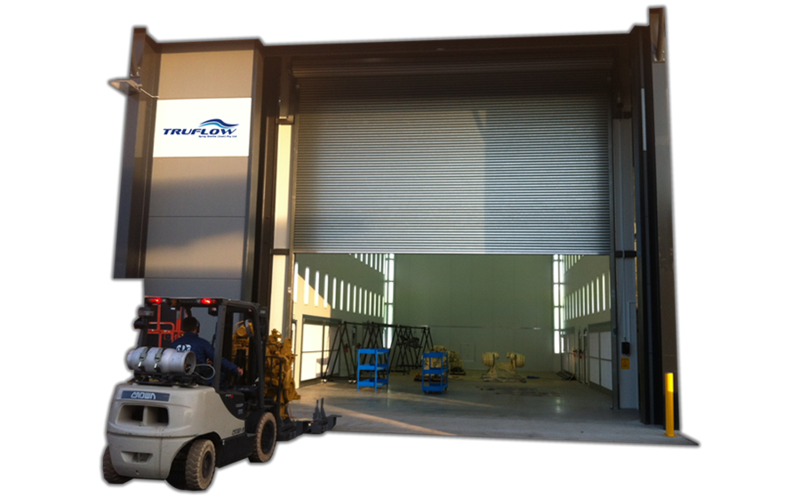 It is clear from the shear size of the spraybooth that TRUFLOW engineers designed a unique and very large downdraught spray booth. 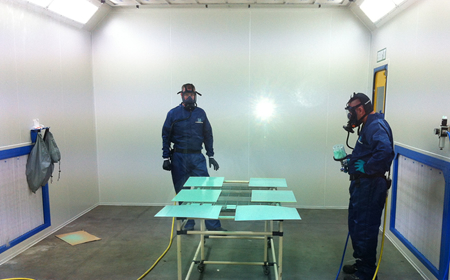 A large scale facility that provides painting solutions to both the After market refurbishment workshop and the Assembly production line in the Newcastle NSW Facility. The spray painting of these multi-million dollar underground vehicles is critical to the brand and of course its long term durability in extreme underground conditions mine conditions. 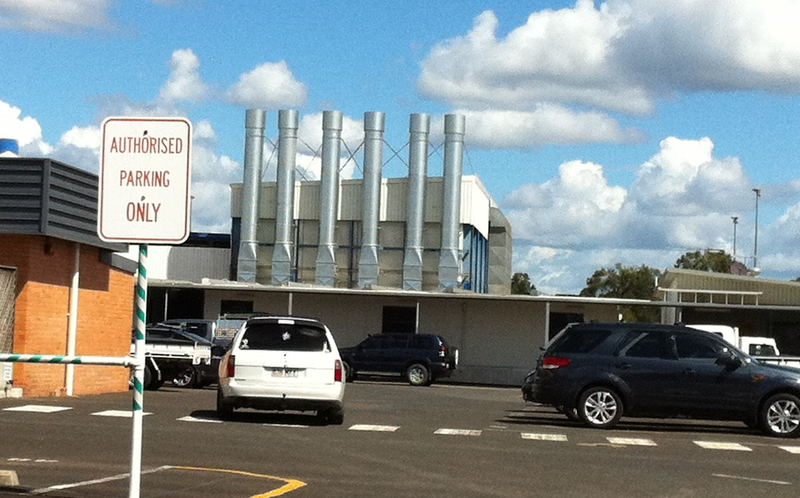 These booths have been designed to suit the unique products, provide safe access, compliant ventilation and curing / bake cycle for accelerated cure. Fill out the attached form to request a quote or information.